When it comes to haircare, I like my routine to be as quick and fuss free as possible. I've always envied those people who could just wash their hair and not really have to do anything with it afterwards. Unfortunately that's never been me. I don't have the prototypical Asian that's straight and manageable. Instead my hair is thick, slightly wavy and unruly. If I don't get it cut correctly with layers and style it properly I feel like I run the risk of looking like a overgrown chia pet. I've learned how to tame it over the years and I know how to make the texture work for me now. And I make sure to use products that work to address my specific hair needs. That's where Formulate comes in. Developed by a team of leading chemists and engineers, the fully customized hair care system is created based on an individual's hair condition, needs, and goals. They even take into account your lifestyle, environment, whether you heat style your hair and the other products you use on it. It all starts with a quick survey that determines your hair needs as well as the hair goals you're looking to achieve. You have a choice of seven fragrances to choose from to add to your set when you complete your survey. There is no fragrance-free option but you can also choose the degree of fragrance you want. The results are then sent to the Formulate labs where a shampoo and conditioner specifically formulated for your hair needs is created and shipped straight to your door. And these products happen to be paraben, sulfate, dye, preservative and cruelty-free. Formulate shampoo and conditioner sets are available in two sizes - 4 oz // 118 ml for $14.95 and 15.2 oz // 450 mL for $44.00. 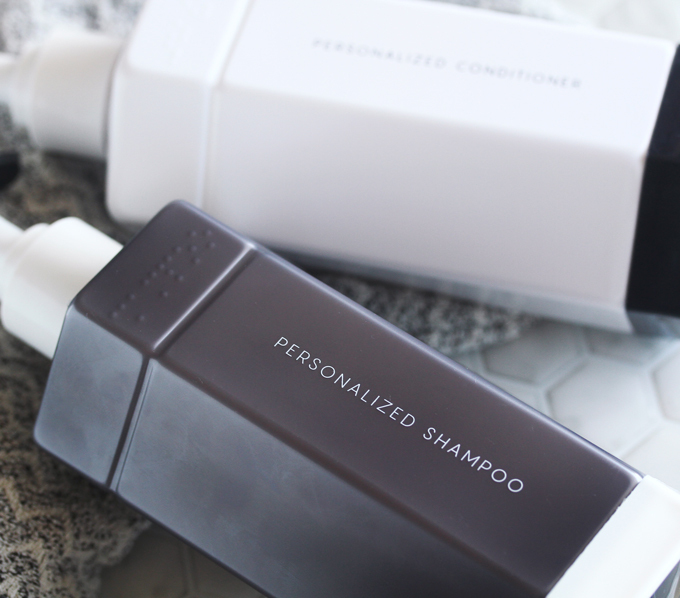 I was selected to be a Formulate launch partner and as someone who enjoys bespoke products, I couldn't be more excited when I received my personalized shampoo and conditioner set. The products are packaged in these cool looking bottles which have both a minimalist and high tech look. A helpful personalized booklet is included with a reminder about my hair condition and goals as well as usage instructions. 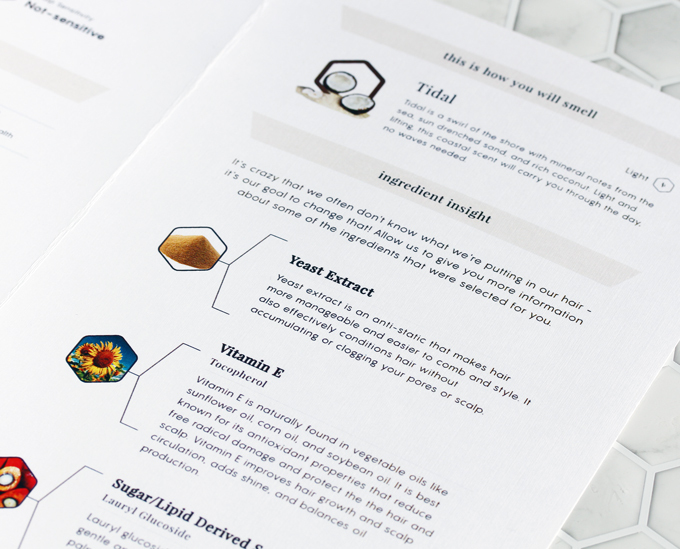 It also includes a key ingredient insight that explains what they are and what they specifically do as well as a full list of ingredients. I like to know what I'm putting on myself and how it's going to work so this is good stuff. My hair has actually gotten straighter on it's own over the years. It's still thick and can quickly become frizzy and unmanageable if I don't rein it in. My scalp is in good health but my hair can is a little dry at times because I do heat style it. I wear it on the short side and I'm obsessed with it being super black so I do hit it with semi-permanent color a few times a year. My hair goals are shine, deep conditioning, anti-frizz, color protection and maintaining my scalp health. I'm a big believer that hair healths starts with scalp health. I wash my hair no more than 2 -3x/week so as not to mess with that. My scalp is balanced and I never have any issues with oiliness, itchiness or flaking. I believe that not overwashing is a big factor in that. 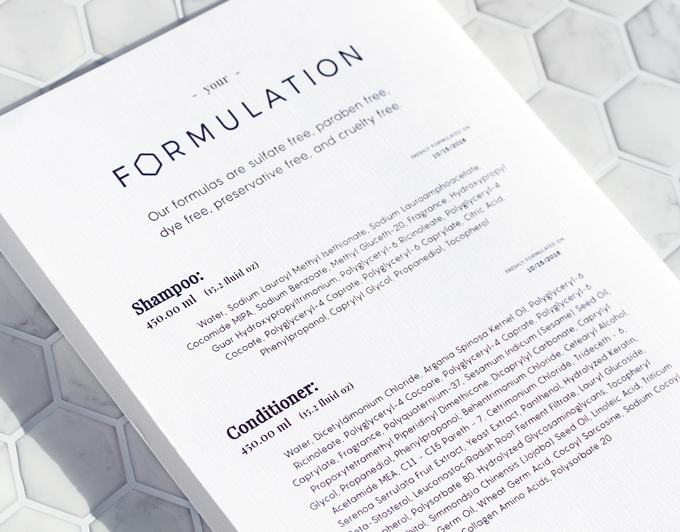 The Formulate shampoo is white in appearance with a thick creamy texture. The brand suggests using 3 pumps which is about right. It is relatively low lather which I expected. The formulation uses Sodium Lauryl Methyl Isethionate which is a sulfate free coconut derived surfectant that is supposed to provide a gentle yet thorough cleansing with outstanding rinsability. I found that to be pretty accurate. The conditioner has a slightly thinner yet still creamy in texture. They suggest using 3 pumps which I found to be too much so I use two. I ended up with the Tidal Light fragrance. It is described as a light and lifting coastal scent that will carry you through the day, no waves needed. This scent is very subtle with a faint touch of coconut. I've used my shampoo and conditioner for almost a month and the more I use it, the more I like it. I feel like it effectively cleans and conditions my hair and scalp while addressing my issues making it more manageable and easier to style. I haven't really had to deal much with frizz or static and it looks shinier too. 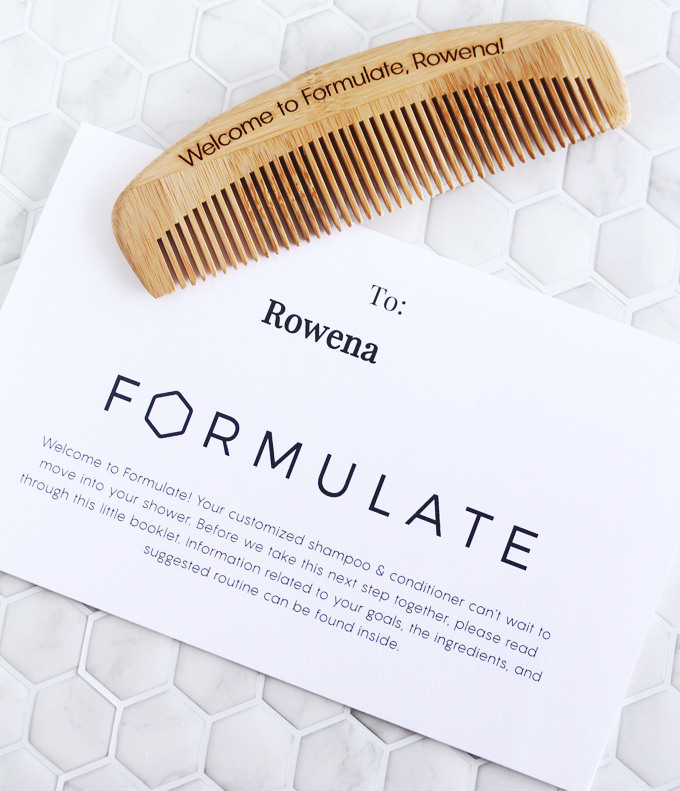 Formulate does provide a satisfaction guarantee and if they don't get your formulation right, they will reformulate your shampoo and conditioner based on your feedback. So I originally chose the Green Tea scent and found it to be totally overwhelming even though it was supposed to be light and my conditioner was really thick and hard to rinse out. When I sent in my feedback, they quickly suggested another fragrance, reformulated my set and sent it out to me the next week. They make these adjustments as needed until they get it right, free of charge. And if for some reason you aren't satisfied, they will issue a full refund. That's good customer service. Formulate has a nifty App where your information is stored in your profile. You can easily make adjustments if there are changes to your hair condition or goals. You can also provide feedback to the Formulate chemists on there. 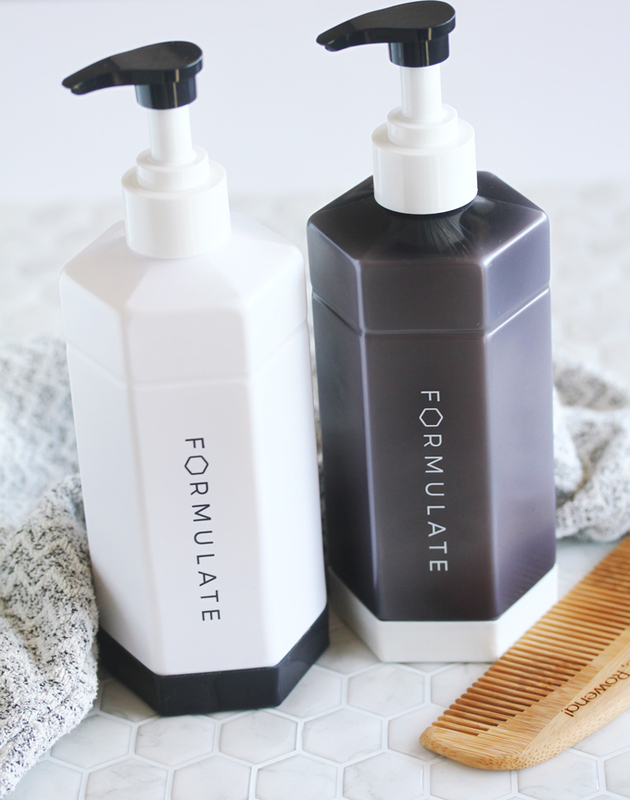 Overall I'm impressed with Formulate and I love how they've gotten me a little closer to my goal of effortless hair. I find myself using less styling products and spending less time styling my hair. It is a truly bespoke experience. Customized haircare makes so much sense since everyone has a different hair type and specific needs. I feel like the value is there considering you're getting a fully custom shampoo and conditioner for $22 each which is quite reasonable and affordable especially if it saves time and requires less use of other styling products. At 15.2 oz // 450 mL, these aren't small bottles either. Pretty sure it will take me at least a year to use mine up. I like the Tidal scent but I hope they will be able to offer a fragrance-free option in the future. At this time, they only ship to the US but they are working on international delivery. 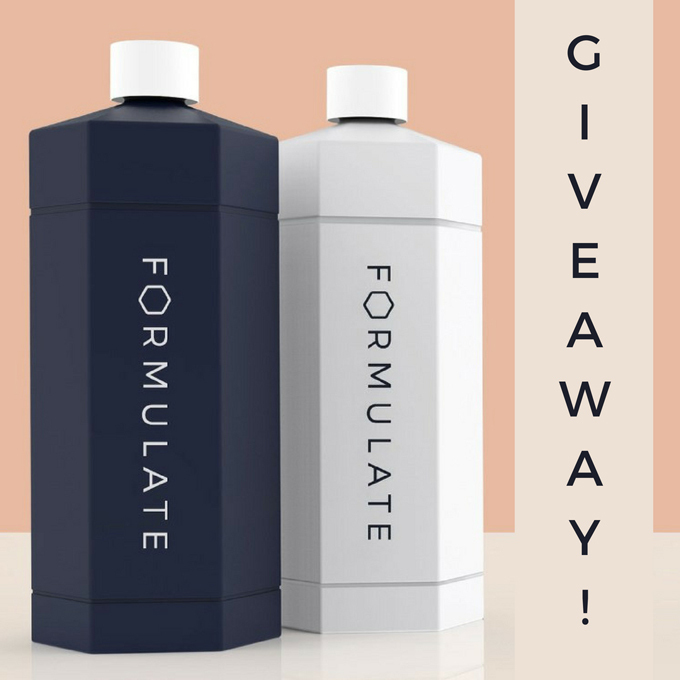 So the awesome people at Formulate want to share the love and give away a customized shampoo and conditioner set to one lucky rolala loves reader. This is a US only giveaway and it's open until December 15. You can enter on this page where you can also check out my personal hair profile and hair goals. To learn more about Formulate, check out this video. You can also visit their website, or connect on Instagram, Twitter or Facebook. Good luck! Have you tried any customized haircare products? Disclosure: Complimentary products have been received for review. No other compensation was provided and all words and thoughts are my own. For more details about my product review policy, copyright, and information about affiliate links, please refer to the Policies page of this blog. 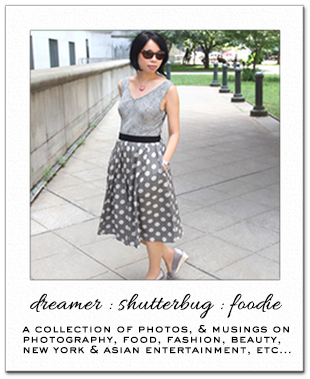 I read about the brand first on Geeky Posh and like the way it sounds. Fingers crossed they will find a way to ship internationally soon. I never heard of this brand how awesome you could customize your own hair color. The color looks vibrant thanks for sharing. Ahh yes I remember reading about your experience with them. I'd like bespoke shampoo, especially if it can really take care of my hair! I never tried customized Hair care products but as I'm suffering from hair fall since a long time, I need something good to my hair. I think the concept of this brand is nice because everyone has different nature hair. The packaging is also cool. as the giveaway is only for US. I want to wish them all. I would like to try customized haircare products... they sound interesting! Your mention of these products potentially cutting down costs on other products certainly justified the price tags, good point, Rowena! I also love the modern design of these bottles :) Hope you're having a fabulous week so far! I never heard about this brand but obviously they are worth to try. And I see you are really able to manage your hair - and I think you can be happy to have such thick hair and I like how you are wearing it! Customized hair care does make sense. These two (the conditioner and the shampoo) are also very reasonably priced, especially since they are so long lasting. I'm happy to hear you found good hair products for yourself and that you need less styling products now. 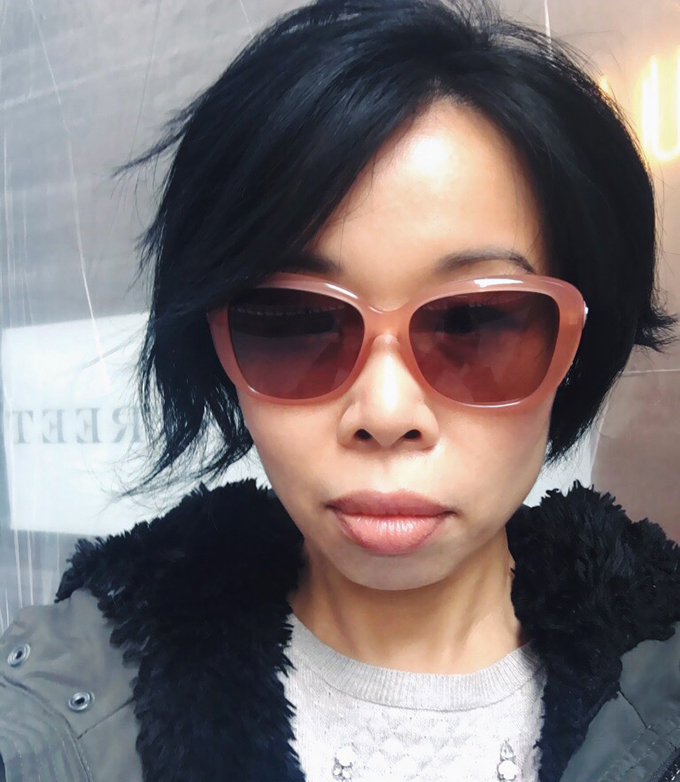 I was never a fan of hair styling products, I like to keep things simple and the best way to do that is to find out what really works for our hair. It looks like you have done just that. 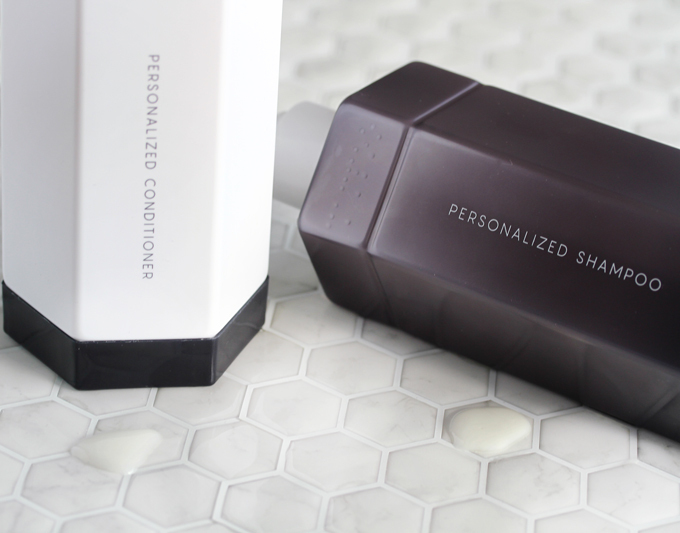 I love the idea of customized haircare! Yea, I could never just wash my hair and be done with. It's such a process. And I only use products that are sulfate and cruelty free as well. 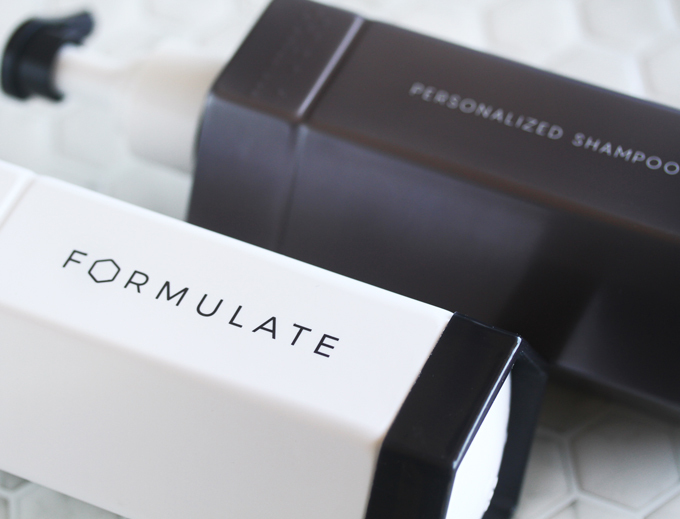 Love the minimalist look of the Formulate bottles. Customised products are everything and I think this concept driven into haircare is a good one. I have curly hair but I get it straightened most months. I don’t like to spend too much time getting ready so no-fuss is ideal for me. The simple packaging is my favourite. Happy weekend dear! Oh what a fun idea! I'd love to give this a try - I hope they ship internationally soon! Good luck to everyone entering the giveaway. Customized hair care? Ingenious!! !1 The products look promising and I like the packaging.